Great deck! Whats your thoughts about put some Exhume and Ulamog's Crusher to make a mix makin this deck have 2 combos? geojoe, thanks so much for checking out my deck. I hope you do well with it. In addition to the Exhume , I am already running 4 Unearth . I agree with the more draw cards. But because the deck has two main combos (check the description), most opening hands will have either one of them. And when I play the deck, that statement remains true. Also, often times I have used Sign in Blood just to deal damage. How about this? Make the changes that you see fit, play with it a bit, and then contact me again and tell me if it was more efficient or less efficient. 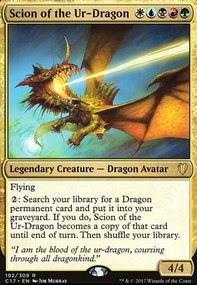 I have the mike and trike combo arriving soon, so that's probably going to replace the two colorless planeswalkers, and i'll be adjusting the mana. as far as Imprisoned in the Moon and Song of the Dryads , i find that turning off an opposing cmdr for the cost of giving that opponent a colorless mana or a green mana is more than worth the cost. most of my meta consists of naya dinos/ramp, and gruul ramp. so one additonal mana often ends up being pointless. 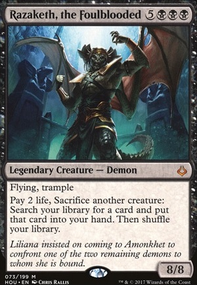 i like the idea of Dragonlord Silumgar and Exhume . ill more than likely be adding them in the near future. thanks for your insight, my dude. if you think of something else, lemme know!! First off I wanna say I like what you got going here. I'll give my two cents on some adds or replaces that I would do. First off. I think that Muldrotha's ability is extremely fun to use but I do think she needs a little bit of help earlier on as she's 6 mana. Adding in Animate Dead and Dance of the Dead I think really help supplement her ability early on in the game as well as later on in the game by being able to cast a creature and then also cheat an extra one out with your enchantment cast on one of those. Both are pretty cheap at 3.50. Exhume is also about 2 bucks and adds in extra recursion. I also think Buried Alive is an essential for cheating out one of your big creatures for some early game pressure. In my playgroup a lot of enchantments/artifacts are played that need answers so Reclamation Sage is always useful along with Caustic Caterpillar . Hostage Taker is pretty amazing also at dealing with threats or even great for taking your opponent's overpowered Sol Ring . I like the enchantments that make your opponents' creatures useless. Some other things that can be some fun are Dragonlord Silumgar or Deep Freeze . I personally would remove the ones that give your opponents mana in favor of one of those 2. I can go through a bit more if you'd like but I just wanna get your thoughts on those for now. I redid it since it looked so bad because I forgot the brackets. Sorry about that. You have a lot of strategies going on in this deck. Tokens, counters, reanimating,and lifeloss . 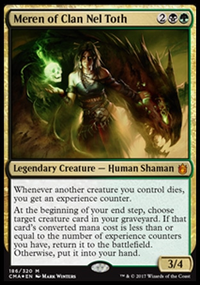 I would focus more on the reanimating/graveyard placement to compliment your commander by adding in Reanimate , Exhume , Animate Dead , Victimize . Buried Alive would help get creatures into your graveyard to. I would also add more artifact and enchantment destruction because slowing ramp down or destroying an Omniscience in time could win you the game. You have a lot of strategies going on in this deck. Tokens, counters, reanimating,lifeless . 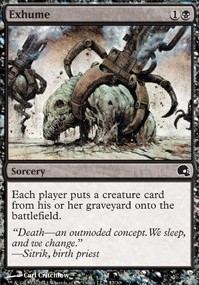 I would focus more on the reanimating/graveyard placement to compliment your commander by adding in Reanimate , Exhume , Animate Dead , Victimize . Buried Alive would help get creatures into your graveyard to. I would also add more artifact and enchantment destruction because slowing ramp down or destroying an Omniscience in time could win you the game.